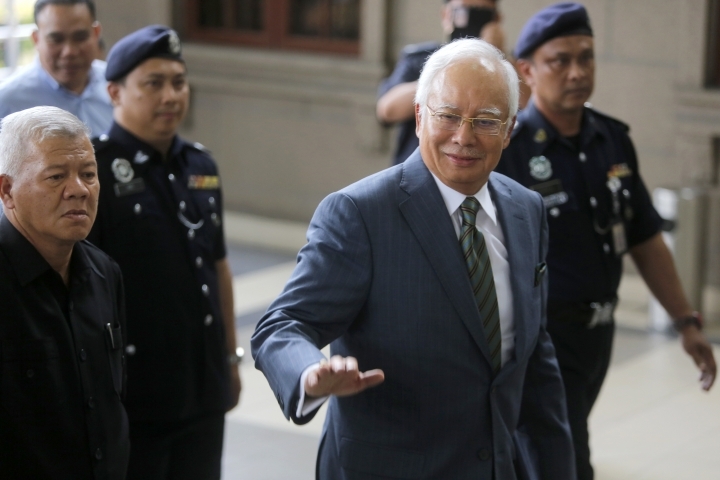 KUALA LUMPUR, Malaysia — Former Malaysian Prime Minister Najib Razak pleaded not guilty Wednesday to three new money-laundering charges related to the alleged multibillion-dollar looting of a state investment fund that led to his stunning electoral defeat three months ago. 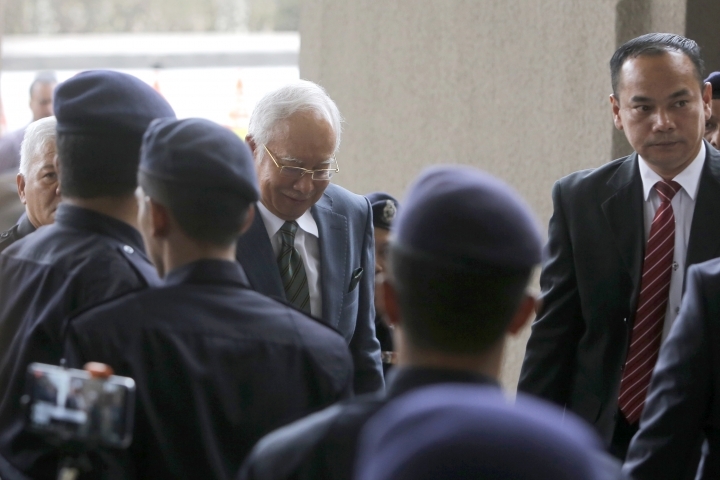 Dressed in a grey suit, Najib was calm and spoke softly as he entered his plea in the High Court. He has previously accused Malaysia's new government of seeking political vengeance and vowed to clear his name in his trial. 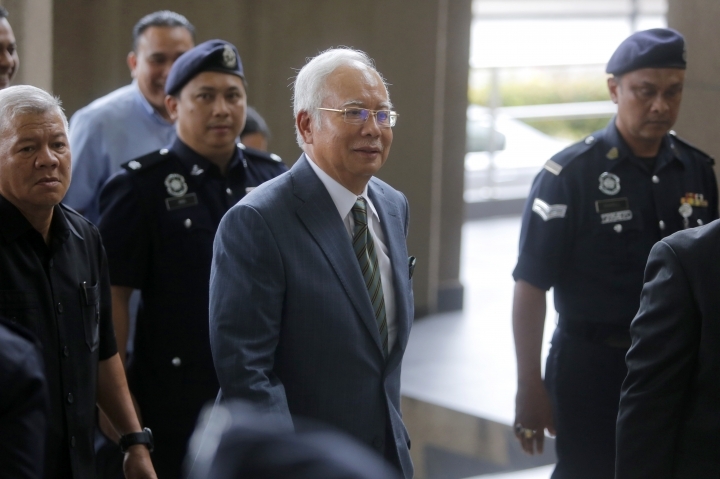 Najib, 65, had pleaded not guilty last month to abuse of power and three counts of criminal breach of trust. After leaked documents exposed the scandal, Najib sacked critics in his government, muzzled the media and quashed investigations. Public anger led to the defeat of Najib's long-ruling coalition in May 9 elections and ushered in the first change of power since Malaysia gained independence from Britain in 1957. The new government reopened the investigations stifled under Najib's rule and barred him and his wife from leaving the country. Police also seized jewelry and valuables valued at more than 1.1 billion ringgit ($270.2 million) from properties linked to Najib. His case Wednesday was heard by a new judge after the previous judge, who is the brother of a senior official in Najib's Malay party, was transferred to another court. Najib's lawyer Muhammad Shafee Abdullah questioned why the previous judge was suddenly transferred out even though there were no applications to remove him. Prosecutors said the transfer of judges was a normal procedure. The court will resume Friday to hear a bid by Shafee for a gag order to bar the media from reporting on the merits of the case. The judge is expected to set trial dates then.